Night of the Sentinels (Part 1) Description: Jubilee is attacked by robots called Sentinels at a local mall but she is saved by the X-Men and taken to the X-Mansion for her safety. The X-Men discover that the group running the Mutant Registration Program intends to track and eliminate mutants. Later, the X-Men find the Sentinel base and infiltrate the base to destroy the files on mutants. 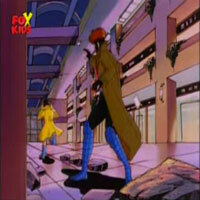 The episode ends in a cliffhanger when Storm opens the door to a room where many armed soldiers are hiding, waiting to ambush the X-Men. 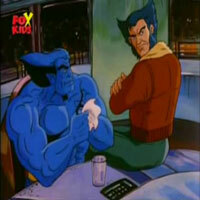 mb420 X-Men was and still is a great cartoon. One of my all time favorites. If your a fan of the comics then this is definately for you and a must see for all X-Men fans. 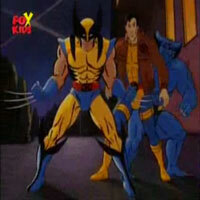 Davideo7 Probably my favorite TV show growing up, and definitely the best X-Men cartoon. This series is based on the comic books and the animation is as if you were reading an animated comic with voice acting.